– June 5, 2012Posted in: SusieQ FitLife Breaking News, SusieQ FitLife Updates! 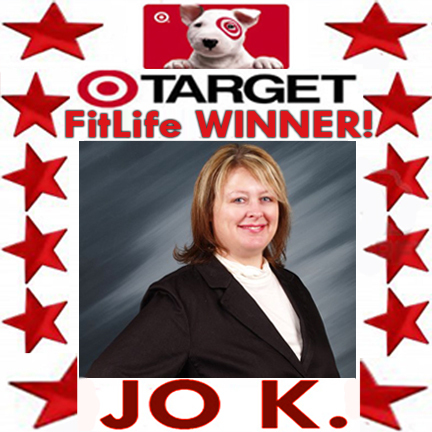 The Target Contest WINNER & FitLifer of the Week is… Ms. Jo Khalifa! 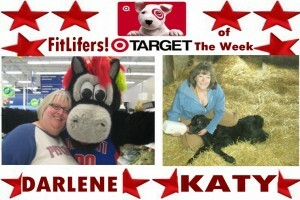 Our www.Facebook.com/SusieQFitLife Target Gift Card Contest was one of the most personalized & interactive contest that anyone could enter online! We’re constantly featuring customized photos of our top contenders. 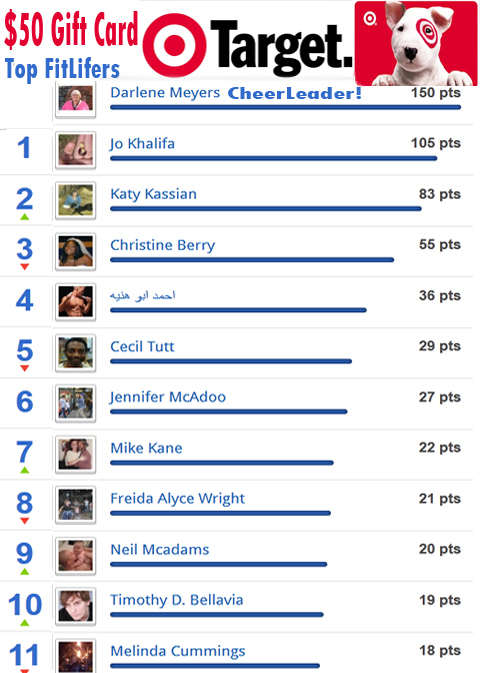 SusieQ FitLife always wants to recognize & reward the MOST Active FitLifers on the FitLife Family page. Truthfully, we have so many wonderful FitLife Family Members posting stories, commenting on posts & spreading the word to other Facebook Friends! This contest was positively competitive, with fierce team spirit & the support was commendable. Ms. Jo Khalifa, completed the game @105pts, even by passing her close FB friend Katy Kassian It was a battle of the Ms. K’s when they’re scores were tied at one point. Katy reported last night that Jo won the game after bounding her with rope & leaving her on a real farm! (See the photos she posted on our FB wall). 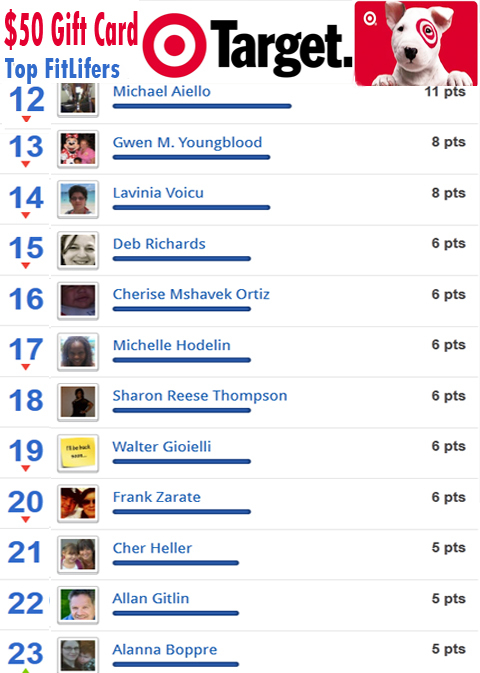 This winning outcome resulted due to an unselfish act of our naturally appointed FitLife Cheerleader Ms. Darlene Meyers, who stepped out of the race while in 1st because she was a previous winner and she wanted another person to win this contest, although she was reigning with @150pts! Such an Honorable Mention! These First Ladies are cleaning house & getting a FitLife! For the first time ever we featured our winner on our Facebook Banner! Jo Khalifah is all a glow, along with Darlene Meyers, as you can see from our website header above! Our TOP TIER players were always seen throughout the contest & can be seen below, along with the “Daily Updated Leader Scoreboard Card” with the final 25 Players! Thank YOU ALL 4 your wonderful FitLife Energy! 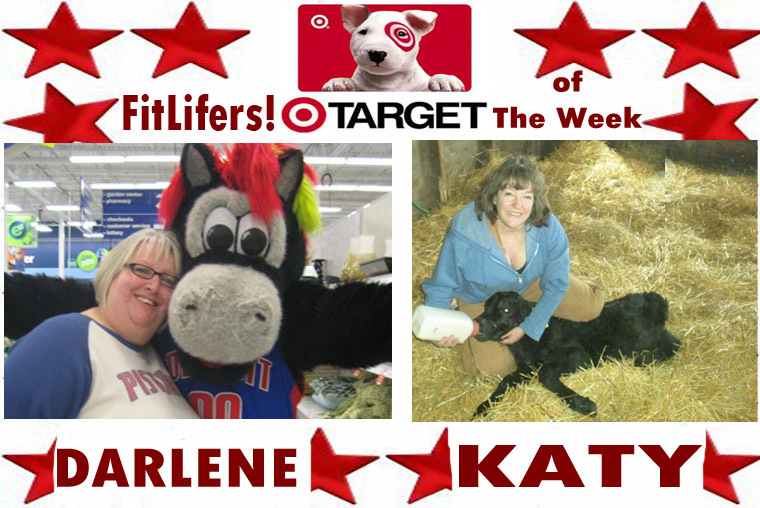 Everyone is a winner on our FitLife Family page! Please keep sharing your thoughts with us! You are just amazing SusieQ! I greatly enjoy the “fun” competition and “chatting” with the “FitLife” Family. Looking forward to more fun times!